It’s been awhile. I thought about reviving Reading Week a few times last year, but you know how it is. So we’re back, and we’re taking this baby monthly. But we’re keeping the name Reading Week, because who doesn’t love a little anachronism? 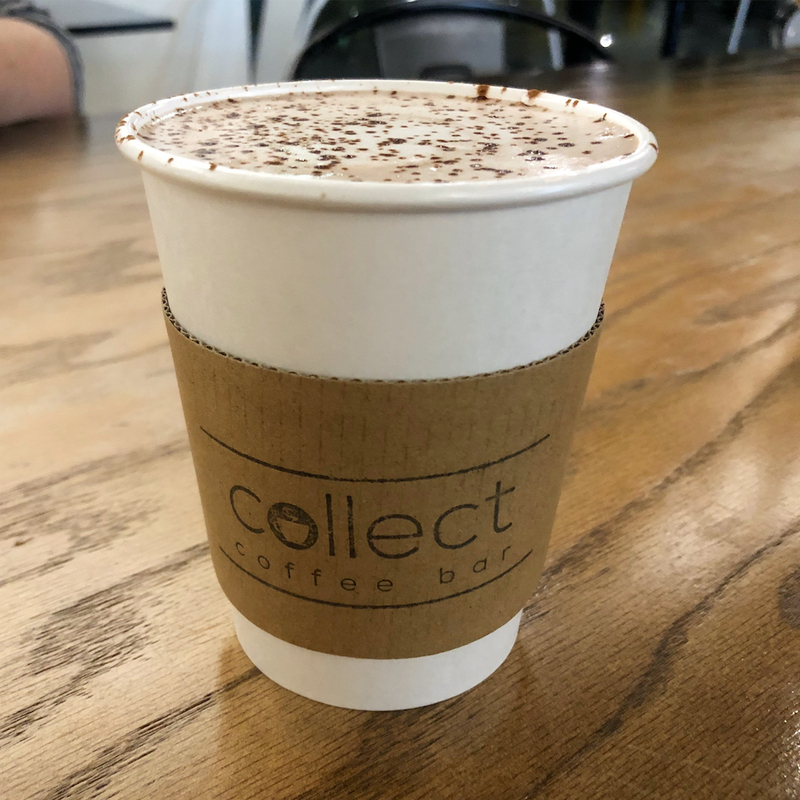 As before, I’ll be sharing articles I’ve enjoyed or found thought-provoking, a little bit of my reading life, and any other snippets and tid-bits that took my fancy this month. Expect me to be sliding into your DMs (er, email inboxes) on the list Friday of every month. I’m a prolific Pocket user. In fact, I’ve often felt like Corinne Purtill who said that she wishes she were the person her Pocket reading list suggests she is. “There will be things left on the list until my own end, when I have to reckon with all the selves I never was and everything I never understood.” Like her, I took some time to cull stories that I’m not realistically going to read, and to devote some time to the ones I’ve abandoned there for months – so some of these were published some time ago. I’m sure you don’t mind. I loved Jessica Furseth On Synchronicity, how the sensation of stars aligning is often an illusion and how sometimes, the pleasure of coincidence is enough. 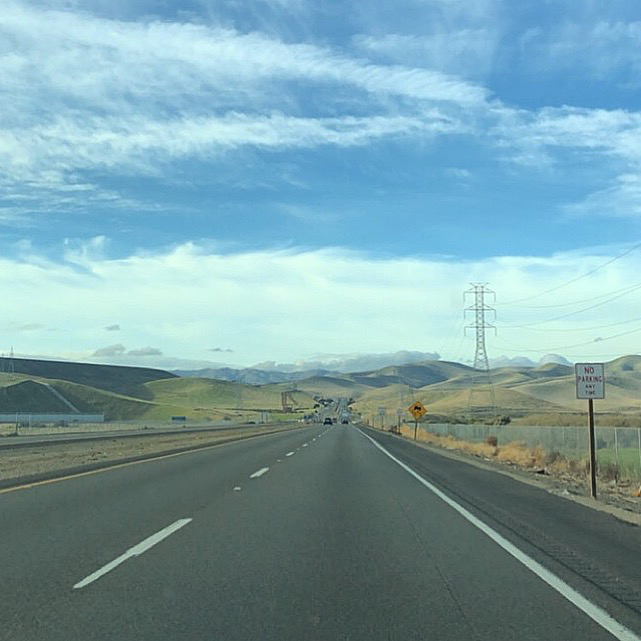 Austin Kleon began the new year with A few notes on daily blogging, which is giving me the itch. I was heartened to read, here and in a few other places, that some people still have the good sense to prize the platforms they own and control. I hope it becomes more of a trend in 2018 as the rise of algorithmic feeds continues to fail us. Opioids and American exceptionalism is a necessary, unnerving read. It’s Oscar season and I have a new cinema buddy so I’ve been getting back into that cinema-going life. I used to work as a film critic, but I’ve been on the outs with the movies since a little while before moving to California. It’s been lovely to reconnect with the big screen and watch some thoughtful films. Last weekend, Evan and I watched Phantom Thread, which is nominated for Best Picture and Best Director. I didn’t love it, but as ever, there is always lots to discuss in Paul Thomas Anderson’s films. I did think it was an interesting deconstruction of the Great Man Theory, and I also thought that my former university tutor could have written a dissertation on its use of food. So I very much agreed with Helen Rosman’s essay in which she purports that, Phantom Thread Is the Best Food Movie in Ages. I also watched Three Billboards Outside Ebbing, Missouri this week. Much of its praise is well-deserved; it’s a tight screenplay and despite McDonagh’s impenetrable nihilism, the black comedic moments tended to work and some of the performances were excellent. Though McDormand is getting all the praise for her gives-no-fucks portrayal, it was Sam Rockwell who really stood out for me. The second act is almost breathtakingly violent, often in ways that felt unnecessary, and it butts heads with but never really tackles racism; but I liked how it played with power dynamics and how no-one is immune from making mistakes and the interest lay in how the characters dealt with them. Woody Harrelson was super charming, and McDonagh got a do-over by including Peter Dinklage, who was absolutely heartbreaking in his small role as a harmlessly hapless local loser. I have missed telling you about my reading. In case you missed it, I did a quick round-up of my Favourite Books of 2017, which included a couple of surprise entrants, and two new favourite authors. I began the new year with the final Elena Ferrante novel on my to-read list, The Lost Daughter, which was filled with deceit and simmering righteous anger in the surprisingly mild mind of a middle-aged academic. It was a nice little revisit to some of Ferrante’s best ideas, and it reminded me of some of my favourite parts of the Neapolitan Novels. Alas, now I must lay in wait for her next novel. Fortunately, in the meantime, she has started a weekly column for the Guardian. 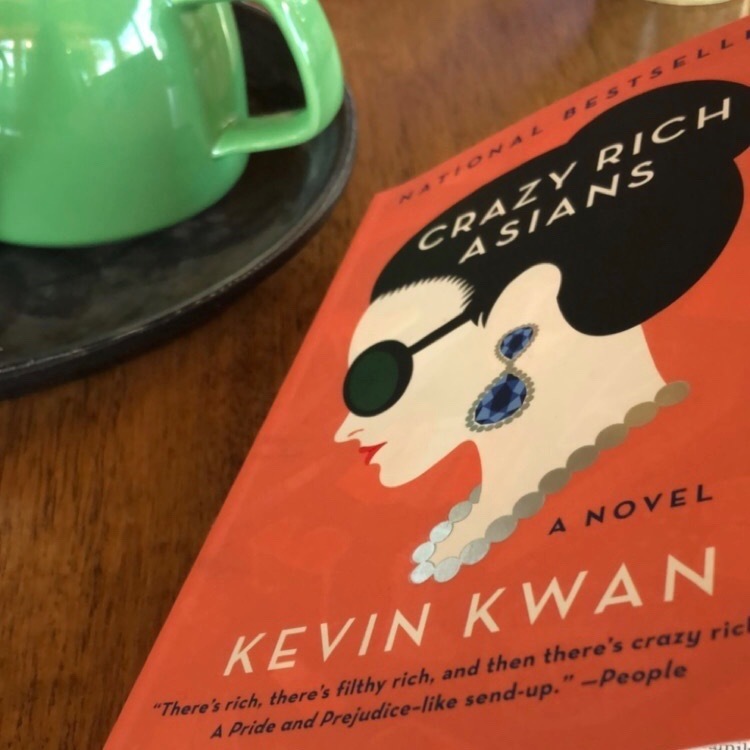 This week I completed Crazy Rich Asians by Kevin Kwan, which is being adapted to film as we speak. It’s a soap opera in a novel. While I didn’t care for many of the details of the wealthy characters’ extravagances, I did find myself pleasantly diverted by it, and I enjoyed reading about Singaporean food culture. It was long, and I won’t be rushing into the sequel (China Rich Girlfriend), but it was entertaining enough. Next? Next, I don’t know. I’m tempted to begin Riverine by Angela Palm, and I’ve been hopping between essay collections on my bookshelf. I also purchased The Collected Essays of Elizabeth Hardwick (partly thanks to this review, but also because it seemed to follow me everywhere for a month). Time will tell! I made a list of my favourite books of 2017. While the reading year didn’t blow me away, I did discover two new favourite authors. There were also a couple of novels that surprised me. Have a watch and do leave a comment if you have any thoughts on my selections! I’ve been feeling pretty sluggish lately, an annoying symptom to have when the weather is so beautifully green and blue. 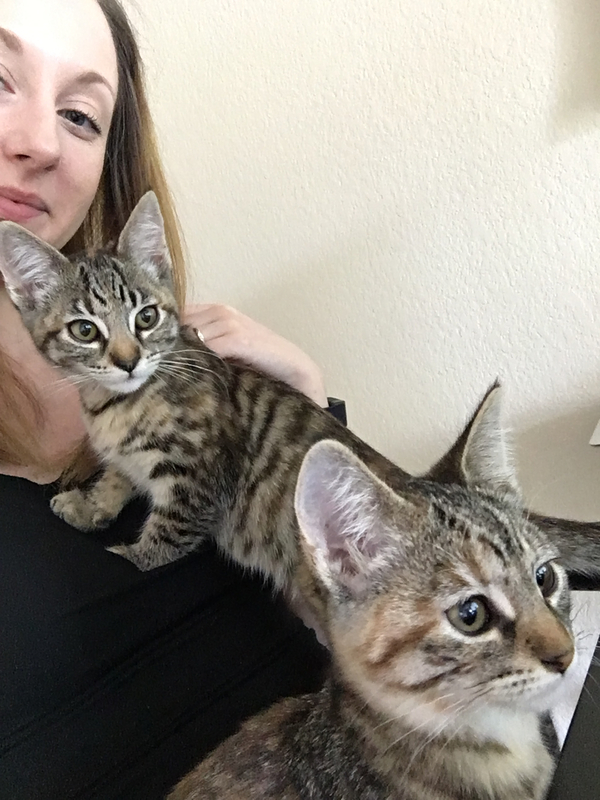 I took the week off from the newsletter because… Since I’ve been gone, I got KITTENS! 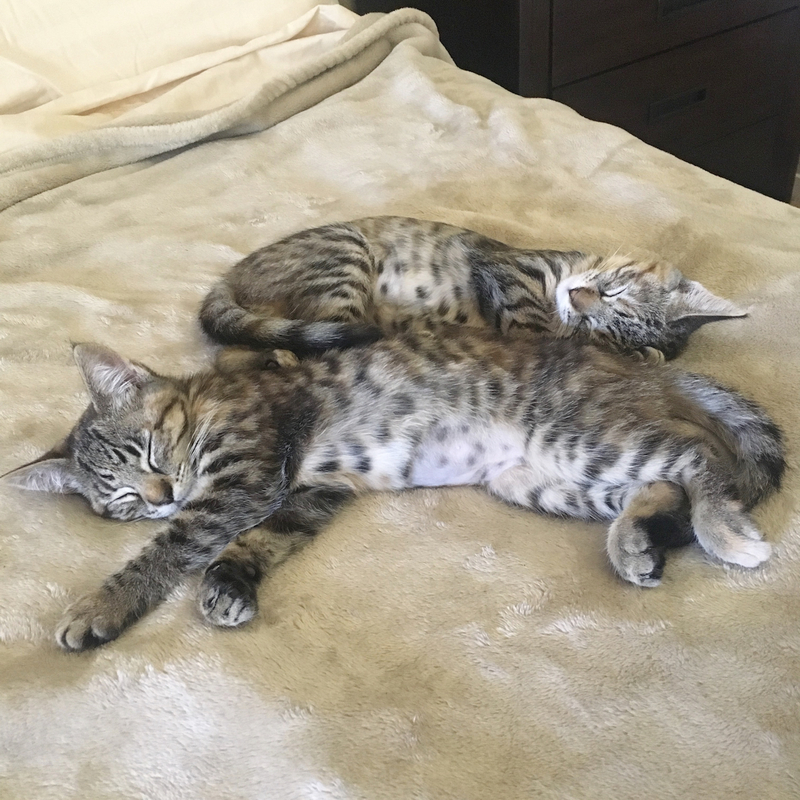 We adopted them from a local foster home via a shelter and they’re sweet little things. We named them after our favourite Scottish whisky-making islands, Islay (pronounced Isla) and Skye, and it suits them. Islay is pretty reserved and super cuddly when she’s in the mood. Skye is more gregarious and my brother has nicknamed her “Face Cat” because she likes to curl up on my collar and lick my nose. I think we’ll keep them. Meantime it’s been a busy week with an editing project on top of my usual work. I’m also reviewing books for a column so this week’s selections are a little more random than usual. I hope you enjoy them regardless! Did someone say “more kittens”?! Jkjk but if you want more follow me on Instagram. Do You Want to Be Known For Your Writing, or For Your Swift Email Responses? Melissa Febos really got me with this one: less because of email, more because of this part about offering free editing and advice: “Institutional sexism (like racism, ableism, and other isms) teaches us to feel indebted to anyone who acknowledges our value, because they also have the power to take it away, because our value only exists in the esteem of others. Your job is not to repay the people who acknowledge you by giving them what they want. Your job was to write the thing they read, and you already did that.” Touché. After 20+ years of research, scientists are ready to say that Unknown humans were in California 130,000 years ago. That’s 115,000 years earlier than previous findings of humans in the Americas. Nuts. I also belatedly enjoyed this Lit Hub piece about Why Literature and Pop Culture Still Can’t Get the Midwest Right – some of which will be familiar to anyone living in a place whose narrative is often shaped by the countries surrounding them. Eula Biss’ Confessions of a reluctant gentrifier also looks at cultural perceptions and the danger of stolen narratives. P.S. Her essay collection, Notes From No Man’s Land, finally has a UK publisher. Buy it! The other day it was the third seasonal Cosy Reading Night. Unfortunately for me, it takes place at about noon, but I joined in for an hour before heading off to my real-life book club. 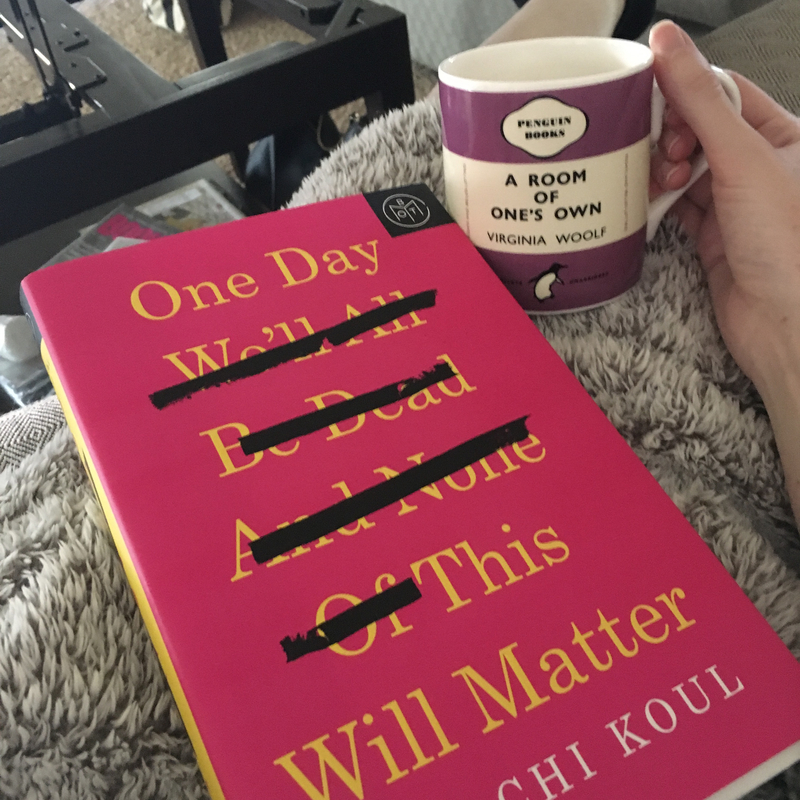 I’m currently reading a personal essay collection, One Day We’ll All Be Dead And None of This Will Matter by Saachi Koul, who also writes for Buzzfeed. It was my April Book of the Month pick and is released in May, so I’ll be reviewing it and a novel for the Big Issue so I will refrain from saying much here. I finished The Rules Do Not Apply by Ariel Levy, which was good, but I think I’d have enjoyed it more if I hadn’t already heard the best bits in interviews. I also read Nasty Women from 404 Ink, an anthology of essays about what it’s like to be a woman in the Western world in 2017. I’ve written about it before, and it was everything I’d hoped – serious, sometimes funny, thought-provoking, varied, and intersectional. You can still pick up a copy directly from the publisher, here. Your turn! Read anything good this week? Hit reply or tweet me, won’t you?